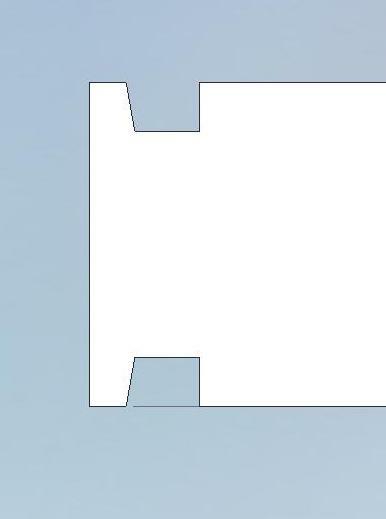 I want to use a waterline roughing operation to remove a rectangular section of material that has open walls. 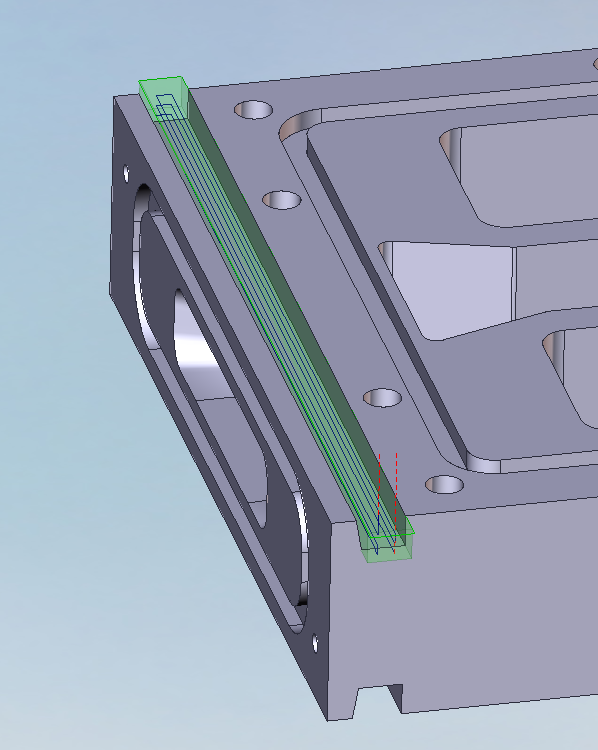 I want to machine everything in the pocket up until an imaginary vertical wall located where the draft angle starts. 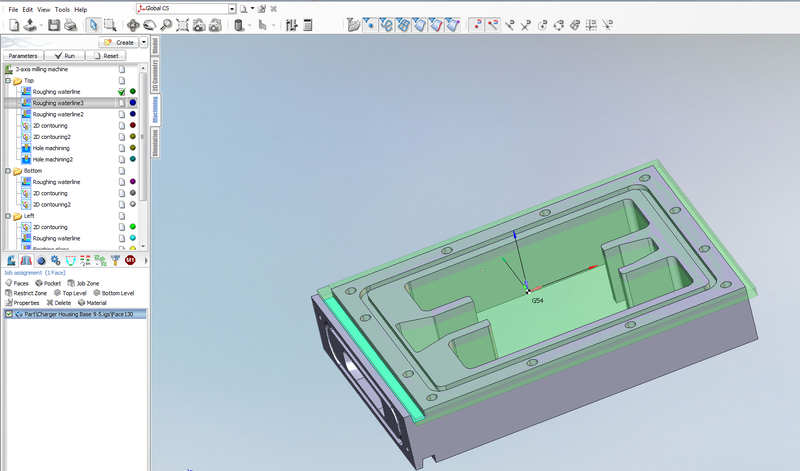 I was able to get the required behavior on one side of the model by creating 2D geometry by importing the straight edges from the model and then extending the lines past the pocket that I'd like to machine. I then selected the resulting chain as the Job Zone for the operation. However, trying to do this on the other side in a non-Global-CS is extremely buggy. In fact, 2D geometry creation in the non-Global-CS is buggy to the point of being unusable. What is the best way to do what I want? Hi strobot, welcome to the sprutcam user forum. So, just to be clear, you don't want to machine the part the way that it has been modelled? Unfortunately you do not say which version of SprutCAM you are using? There have been quite a few changes in SprutCAM over the years and so it's very difficult to give a specific answer without knowing which version you are using. If you are using V7 or V8 have you tried selecting the bottom face as a 'Job assignment' - 'Pocket'? (see attached V7 / V8 project). You could also use '2D Contouring' to achieve what you need by using the edges of the bottom face (see attached V7 / V8 project). In fact, 2D geometry creation in the non-Global-CS is buggy to the point of being unusable. 2D geometry is 'plane specific', in other words, you must select / create the correct plane for the required 2D geometry. Hi, thanks for the response. I'm using the latest version of SprutCAM 7. 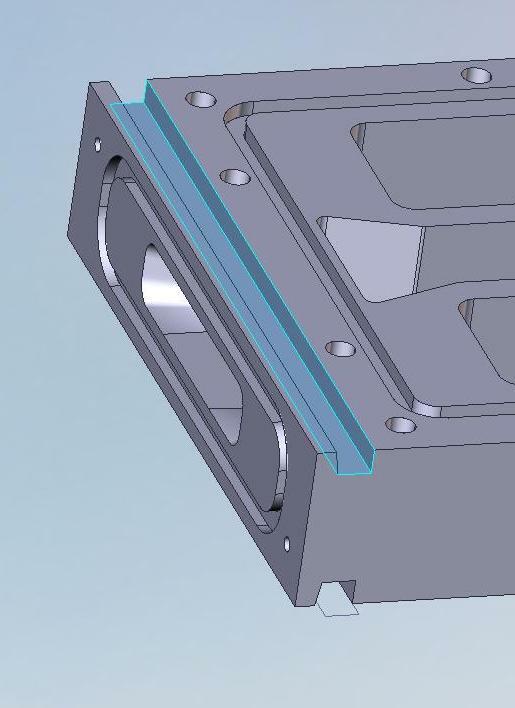 I want to machine the part how its modeled. I'm going to be using a flat end mill for machining the flat, orthogonal surfaces, and a tapered endmill to machine the drafted surface. This is what happens when I select the bottom face of the "pocket". Once I click run for that op, it machines all throughout the green space. I think its failing because the pocket has open walls. I think its failing because the pocket has open walls. Please take a look at the sample project that I produced for you.